Ah sun, we wouldn't survive without it, but we have such a love hate relationship. It's great for vitamin D, but anything longer and you risk damage. It wants to help you, but it just doesn't know it's own power. It's not the poor things fault. So we tread lightly and do what we can to prevent damage. 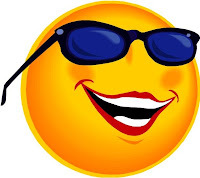 I have been getting more serious about my sun exposure and applying sunscreen. Why? Because come to find out at my last dermatology visit for one suspicious mole, that I had plenty of other atypical moles! I had to have a few removed and luckily they came back fine. Atypical moles are when they look like they could be cancerous. More than often, atypical moles stay atypical and never transform to anything worse, but I do not like to gamble, as melanoma cases have risen in people as young as their 20's. You are also more at risk when you are pale like me. I use sunscreen religiously now, especially on my face and arms. I have to keep a very close eye on my moles for changes and take no chances. 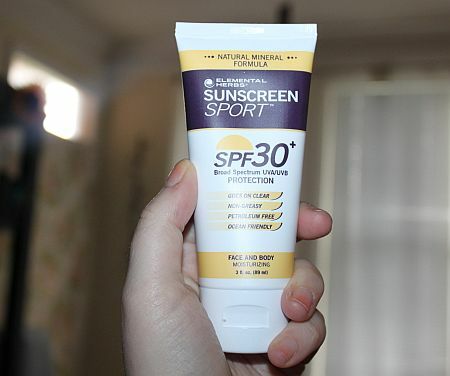 I am picky about the sunscreens that I use so I have made it my mission to find the best ones that suit me, because when dealing with natural elements, that is trickier to find. I will be reviewing several different natural physical sunscreens over the course of these next few months, and probably some less irritating and risky chemical sunscreens as well. Fortunately, I'm not the beach bunny I used to be. I have taken to my hermette cave, yes hermette, and rarely stay out in the sun long. I may have exposure for 30 minutes to an hour or so on midday walks, but mostly I try to stay away. A lot of sunscreens on the mass market are filled with controversial chemicals and I try to have nothing to do with them. These chemicals are used primarily because they are cheaper to mass market. 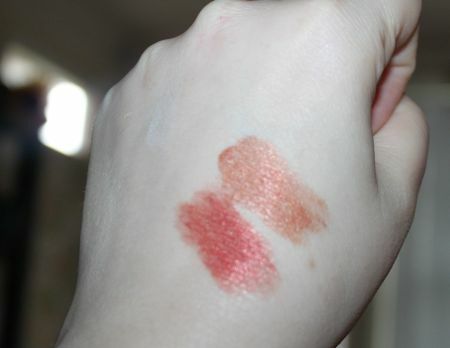 I try to go for the most natural unprocessed chemicals that tend to be more expensive, but it is worth it in my eyes. Those are Titanium dioxide and Zinc in their purest form. Zinc being my favorite of the two. It has really good protection on it's own and needn't be mixed with anything else. There are so many new natural physical sunscreens coming out now and it makes me and my body happy. One of which is the Elemental herbs line. They carry an all Zinc line that I have grown to like. I use it when I know i'll be spending a lot of time outdoors. This sunscreen is ocean friendly and non greasy. It is also petroleum free, gluten free, vegan, Non-nano ( added nano particles that can be harmful to your body when the sun hits them on your skin) and paba-free. I tend to sweat a lot during the summer if i'm out walking a lot and thought this would be my best option. The consistency is a medium thickness. The only caveat I have with more natural sunscreens is that they are work to rub in. They are thicker than your average sunscreen so you really have to work it in. Its worth the effort though. Once it is thoroughly soaked in, there is no offensive after smell or white cast, which happens a lot with other sunscreens. It is very slightly sticky, but nothing that turns me off. I don't think I would wear this on my face daily, as it is way too thick feeling, but for the body it is great. Also, some people tend to be allergic or sensitive to Zinc, so be sure to do a patch test before slathering it all over the place. I will never use anything under spf 30, so I am very happy they carry higher and longer broad spectrum protection. Broad spectrum means that the sunscreen protects you against both uva and uvb rays, which is very important. 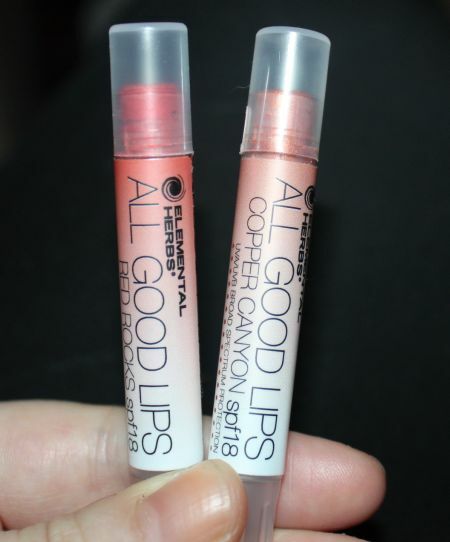 I also got to try their lip balms in Red rocks and Copper canyon. These have broad spectrum zinc with spf 18 protection. I keep my lips protected as much as anything else and it's just as important. The consistency and smell is nice. They have a minty invigorating scent and went on smooth. I'm not sure about the colors and sheen. I think it's a bit too much for me, but may not be for you. Take not the Red is more of a burnt orange red. If you'd like to learn more about Elemental herbs and discover other sun protection products, follow their social media sites. Disclaimer: Product was provided to me for the purpose of facilitating a review with my honest opinions. I was not compensated monetarily or in any other form. I love the look of the lip stuff.What is the highest SPF for the sunscreen. As being semi allergic to sunshine its good to know.I need to check these products out more. I really should pay closer attention to my sunscreen since I'm so pale. & I really love how that sunscreen is free of virtually everything!